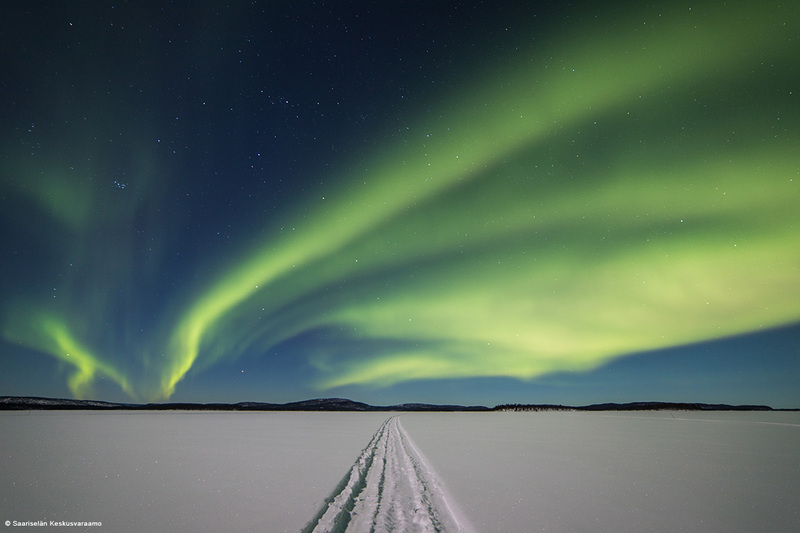 Take a snowmobile-pulled sledge ride to Lake Inari, a prime viewing area for the Northern Lights. You will be picked up from your meeting point by minibus. Journey through wintry fells by minibus to Ivalo, where you will get warm thermal outfits and shoes in our basecamp. We will drive about 15 kilometers to a small village of Koppelo. Take a seat in your sleigh and travel deeper into the wilderness with your guide. Comfortable snowmobile-pulled sleigh is covered by warming reindeer hide and you can enjoy the ride to the frozen lakeside. In the lake you will take a break in the silent beauty of the wilderness. You will visit small island with traditional wooden cottage and teepee. You can relax and if lucky enought - to see the Northern Lights! 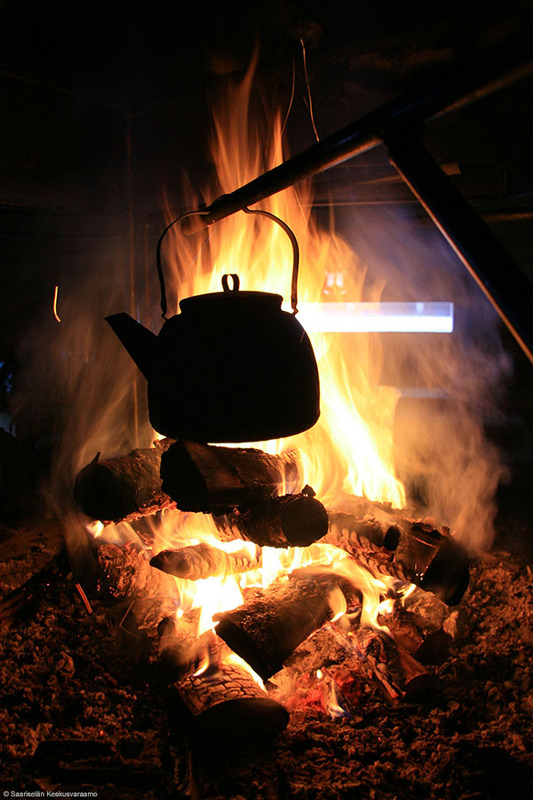 Guide will prepare delicious dinner and hot drinks by a campfire. There is no quarantee for the Northern Lights, but this is a great outdoor experience with the feeling of local life in Lapland. Small-group tour with a maximum of 10 people for a more intimate experience. Producer: Lenje Avoin Yhtiö , y-2196195-1. Winter 2018-2019, updated 09/18. We reserve the right to make changes.